In our last discussion, I outlined the need for flexibility and scale in the datacenter and how it necessitates the need for flexible hardware architectures like Intel® Rack Scale Design (RSD). RSD architecture provides pooling of physical resources which can be upgraded by building blocks and not complete servers at a time. In this discussion, I will talk about how this fits into Intel’s Software Defined Infrastructure (SDI) vision and most importantly, help scale the cloud. In June, 2016 we released the first version of a standards-based (Redfish) open source software called PODM (PodManager). 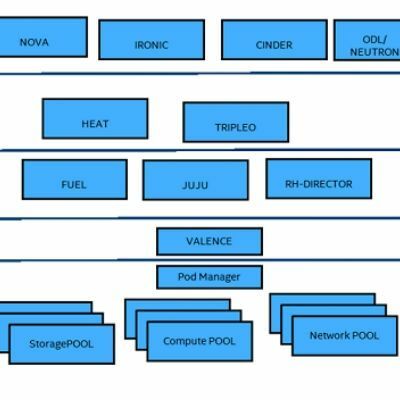 It provides a RESTful API-based model of all the resources under a POD, i.e., racks, compute blades, SSD pools, and network elements. 1. The lifecycle of an RSD-based node will have these phases: discovered, composed, provisioned, released, upgraded (SW or new HW added) and modified (eg. VLANs added, or reduced). 2. Deployment Software used to deploy a new rack may or may not be used when the same rack has updated hardware, for example a Fuel or a TripleO solution. 4. If a new switch or new storage device is added, the requirement to configure and add new VLANs or volumes would need to be initiated. 5. An enterprise user may want to provide specialized services from their RSD racks and to provide differentiated scheduling of instances requiring a flavor based API. 6. A cloud provider may want to group composed nodes from different racks based on user accounts and schedule workloads to a group. 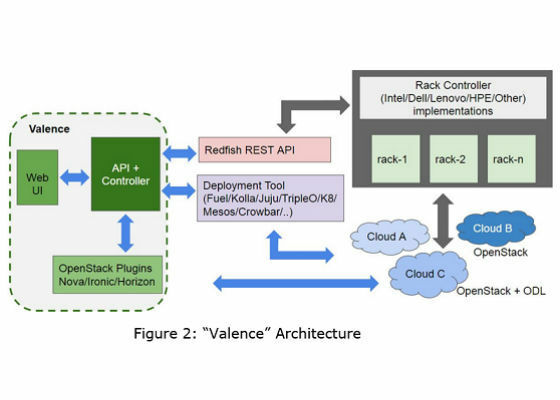 In order to address these challenges, Intel and its partners introduced Valence, RSD controller layer at the Openstack Summit in Barcelona, 2016. Valence makes it easy to install, schedule, monitor, and manage RSD pools, with an API and controller layer. It is a Software Defined Controller for Rack Scale (Figure 1) to manage the hardware lifecycle of disaggregated hardware. Different layers of cloud management services can control the hardware resources in a multi-service environment without compromising performance and statelessness. The Valence database will keep track of resources in different states that can be accessed by plugins’ API layer (figure 2). 1. Plugins to various OpenStack layers allow the cloud orchestration layers like Nova, Ironic and Neutron to request resources through Valence as and when the capacity needs to grow or when the cloud load balancing policies are activated. 2. The need for pre-provisioning of racks of servers ready to be used but not orchestrated into the cloud is eliminated, thus saving power and energy. 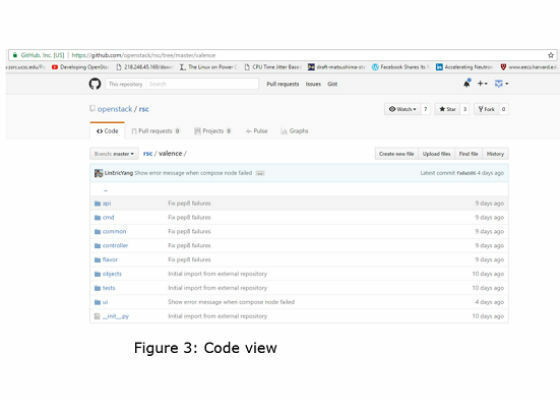 Each feature in Valence can be created in the form of a service (“controller” in Openstack parlance). So the controller layer, as shown in the code view of Valence in figure 3, currently has a node controller and a flavor controller. We plan to add more controllers and scale each feature separately. If you happened to be at the OpenStack Summit in Barcelona, you would have seen multiple presentations on Intel® Rack Scale Design along with demos at the Intel booth.